The 2018 NFL regular season is now entering the home stretch, which means it’s no longer too early to gauge the MVP race with a straight face. Entering Week 11, here’s a look at the top six candidates in the race for the most illustrious individual award in professional football. 1. 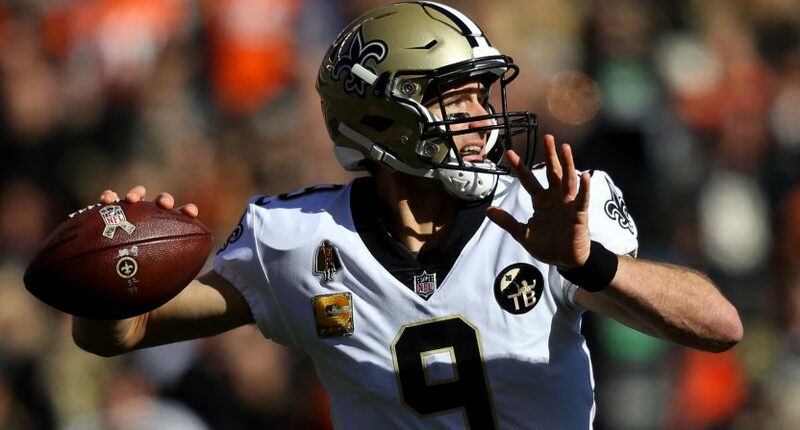 New Orleans Saints QB Drew Brees (last week: 1): The NFL record for completion percentage in a single season is 72.0, set by Brees last season. More than halfway through this year, Brees is at 77.2! The league’s highest-rated passer has truly mastered the position, and his Saints are becoming Super Bowl favorites at 8-1. 2. Kansas City Chiefs QB Patrick Mahomes (last week: 2): The second-year Texas Tech product doesn’t have rate-based stats like Brees, but he leads the league in passing touchdowns and yardage and ranks third in yards per attempt and second in passer rating for a 9-1 Chiefs team. 3. Los Angeles Chargers QB Philip Rivers (last week: 4): Yet another triple-digit passer rating for the 36-year-old, who has done that eight times in nine games. Six more in his next nine and he’ll be the first-ever quarterback to post a rating of 100 or higher 14 times in a single season. Oh and the Bolts are 7-2. 4. Los Angeles Rams RB Todd Gurley (last week: 3): The league leader in touchdowns and scrimmage yards is now extremely unlikely to break LaDainian Tomlinson’s single-season touchdown record, but he still has 232 more yards and three more touchdowns than anybody else in football for a 9-1 team. 5. Los Angeles Rams QB Jared Goff (last week: 6): Under center for that 9-1 team is Goff, who ranks second to only Ryan Fitzpatrick with a 9.4 yards-per-attempt average and is the league’s fifth-highest-rated passer. 6. Los Angeles Rams DT Aaron Donald (last week: NR): That’s right, three Rams with outside shots. That’ll probably prevent any of them from winning this thing, but Donald is running away with the Defensive Player of the Year award with a league-high 12.5 sacks.